A recent update to Battlefield 4’s Community Test Environment has introduced a new little toy that’s on course to make its official debut in the game’s upcoming Dragon’s Teeth expansion. 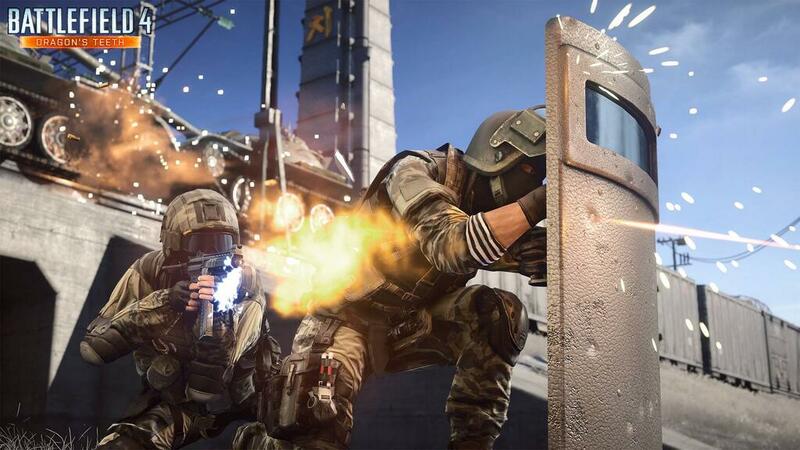 As you might have guessed, we’re talking about the Ballistic Shield, a brand new gadget being offered to Battlefield 4’s Support kit once the add-on drops at a later date. It’s a two-handed shield that can block incoming fire, but it can also become a lethal melee weapon if enemies get a little too close. If you can’t quite wait to try it out for yourself, YouTube footage of the device in action on the latest CTE build is beginning to surface, so you can see what it’s all about beforehand. We’ve still no official launch date for Battlefield 4’s Dragon’s Teeth DLC, but we’ll be sure to let you know as soon as we find out.